The laboratory is also equipped to handle moisture testing of resins, OIT testing of pipe, melt flow requirements and hydrostatic testing of pipe and fittings. 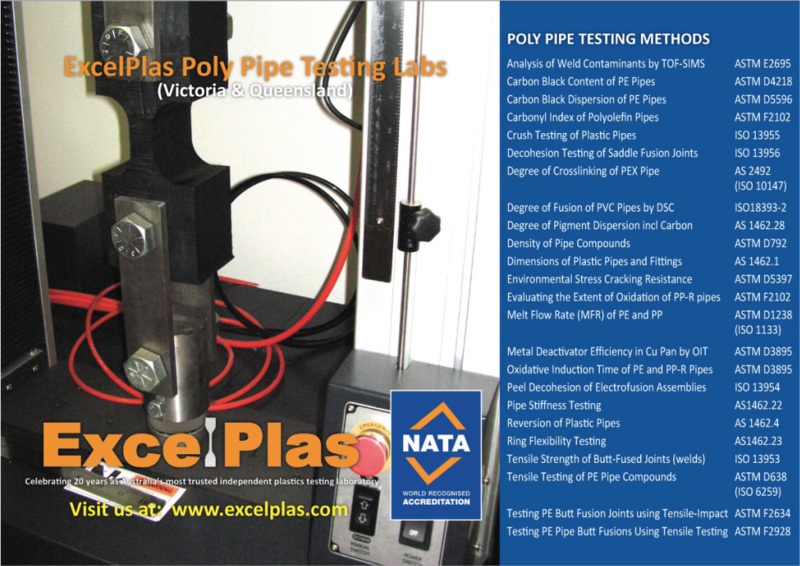 © 2015 ExcelPlas Poly Pipe Weld Testing. All rights reserved.